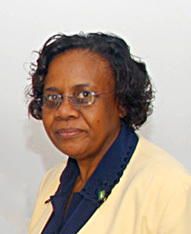 Complaints Commissioner, Mrs. Sheila Brathwaite has voiced the need for the establishment of an Integrity Commission in the Virgin Islands. The Complaints Commissioner listed areas that need improvement and highlighted organs of Government that can support the work of the Commission. She said there is a need for the addition of a Human Rights Commission, and an Integrity Commission that works to improve the standard of conduct, propriety and ethics within the Public Service that allows employees to speak up about misconduct when they see it. The Complaints Commissioner said that an Integrity Commission will work hand-in-hand with the Complaints Commission to execute its various functions. Complaints and investigations will be channeled to the Office of the Complaints Commissioner and matters of integrity will be directed to the Integrity Commission. The Complaints Commissioner added that such a commission will complement the work of the Complaints Commission in a collaborative effort to improve the functioning, the honesty and the integrity of the public service. Mrs. Brathwaite was enlightened on the need for the establishment of an Integrity Commission and its benefits to the Territory at a regional conference on Commonwealth Caribbean Association of Integrity Commissions and Anti-Corruption Bodies in Trinidad and Tobago. The Conference was held from February 29 to March 4, and was attended by Integrity Commissioners, Anti-Corruption Bodies, Financial Investigation Unit Officers and Ombudsmen from throughout the Caribbean. The Complaints Commissioner, sometimes called the Ombudsman, offers to the public a channel for raising complaints about maladministration in the public service and statutory bodies. Complaints against any Government departments or statutory bodies can be made in writing to the Complaints Commission and uploaded directly to their website at www.ombudsman.vg. Complaints can also be made at the office at #80 Main Street. Persons are encouraged to follow the Complaints Commission Facebook. All services are free of charge. The Office of the Complaints Commissioner is governed by the Complaints Commissioner Act, 2003.